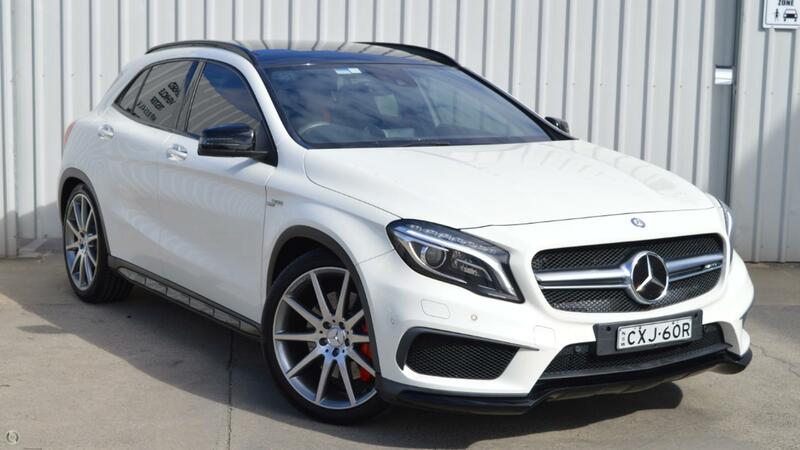 This beautiful example of a GLA45 has just arrived!These awesome machines are fitted with the worlds most powerful factory 4cyl motor producing 265kw and AWD grip, this combination propels the GLA45 from 0-100 in a mere 4.8 seconds! Don't miss out! ^ $230 per week is available to approved applicants only. WARNING: This comparison rate is true only for the example given and may not include all fees and charges. Different terms, fees or other loan amounts might result in a different comparison rate. Excludes government, rental and national fleet customers. This offer is based on a consumer loan with 60 monthly payments of $997.87 and an APR of 9.99% with $1,000.00 deposit and a balloon payment of $7000. Total amount payable $67,871.98. Conditions, fees and charges apply. Hallam Pre-Owned Cars reserves the right to vary or withdraw this offer.